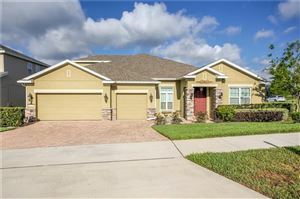 Summit Greens is an active adult community located in Clermont, Florida. 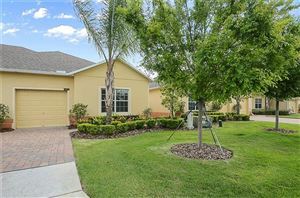 Conveniently located on Highway 50 and Hancock Road, residents at Summit Greens are only minutes from shopping and major highways, yet find themselves surrounded by beautiful and unique hills of the Central Florida ridge country. For a small, gated community of only 769 homes, there is nothing undersized about the 28,000 square-foot clubhouse, which is the hub of activity at Summit Greens. The large, state-of-the art fitness center, aerobics studio, and heated indoor pool it includes are some of the nicest amenities in the area. The Summit Greens clubhouse also features spacious media, computer, poker, and billiards rooms. A library is on hand as well to allow for some rest and relaxation over a favorite book. Residents can also enjoy casual dining at the on-site restaurant, the Sanctuary Ridge. Outdoor amenities include eight lighted tennis courts, softball fields, a heated outdoor pool, and the 18-hole Sanctuary Ridge golf course. Construction at Summit Greens in Clermont, FL started in 2001 and was completed in 2006. The community was built by Levitt & Sons. All residences are detached single-family style, available for resale in 12 different models with easy flowing floor plans. The options vary with each home, but granite countertops, tile floors, and hardwood floors are common throughout many of the resale homes in Summit Greens. Some homes have three-car garages as well. Housing prices in Summit Greens reflect those of other comparable communities in the area and sizes range from 1,250 to 2,500 square feet. Some homes overlook scenic lakes or the golf course, and all feature tasteful landscaping, which is maintained by the community. The reasonable association fees at Summit Greens also include providing the guard at the gatehouse, full-time activities director, as well as maintenance of reserves and all facilities. Summit Greens does not only offer an active lifestyle, but also a youthful one. When Levitt & Sons first started this community, it was open to people under 55. As a result, many of the residents 50 and better are still working. This makes Summit Greens perfect for potential 55 and over residents who are still younger at heart, whether they are retirees or not. It is also very easy to meet people in Summit Greens by volunteering to work with any club or group. Some of these clubs and groups are: card clubs, mah jongg, poker, billiards, softball, opera clubs, book clubs, train enthusiasts, tennis club, dancing, performers club, Jewish club, and Italian club. There are also monthly scheduled social activities, dinners, and shows, which take place in the Summit Greens ballroom. Summit Greens is located directly across from a local college and regional library. New shopping centers, restaurants, and a new movie house are within blocks of Summit Greens. Downtown Clermont is home to Lake Minneola, where triathlons take place. Not only that, but it has opportunities for boating, fishing, and camping. The Clermont/Lake Minneola area also offers an easy to navigate riding trail, which passes by the Clermont Public Beach and offers spectacular scenery. Just a twenty minute drive away, Summit Greens residents can shop at the Millenia Mall in Orlando. The Orlando International Airport is also easily accessible. For extra excitement, Orlando of course offers all the major attractions it is known for, such as Disney World, Gatorland, Wonderworks, and Universal Studios Florida.